I went to “Nebraska” today, and boy, are my eyes tired. Not sure who was more bored, me or the characters on the screen. Ole Woody Grant (Bruce Dern from “Django Unchained”) got a letter saying he won a million dollars. He is set on going from his home in Montana to Lincoln, Nebraska, to pick up the money if it’s the last thing he does. His family tries to explain it’s all a scam, but Woody has to see this thing through. Woody’s son, David (Will Forte from “Rock of Ages“), decides to drive him there after Woody attempts to walk the 900 miles a few times. These two barely get along and don’t know much about each other, and therein lies the purpose of the movie. It seems life in the Midwest is so bleak that everything is black and white. I did appreciate Woody’s wife Kate (June Squibb from “Would You Rather“) bringing some colorful language and an inspired performance into the story. Dern’s portrayal of a doddering old fart was so good you may think he didn’t even know he was in a movie. Nobody really likes Woody, including himself, and I must admit that Dern plays annoyed and annoying better than most. I found much of the movie to be hampered by poor writing and superfluous scenes. The dialogue was so hacky and cliché’ you would think I wrote it. If this were a small indie I’d seen at a festival I would say, “Nice job.” But this picture was helmed by two-time Oscar winner Alexander Payne (“The Descendants”). This is his kind of movie, in an “About Schmidt” kind of way, although here the material came off as dreary as the scenery. I love a good father and son story, and the geriatric road trip is one way to get there. I just wished they had gotten there and not literally stopped on the side of the road. There was so much talent in this movie and it was so poorly used. I swear to you, I thought for the first half of the movie they had just filmed their rehearsal. For most fathers and sons, life does not work out like they would think. Woody thought he was going to win a million dollars and I thought I was going to see a great movie. We both were disappointed. I can only give this movie 2 stars out of 5. 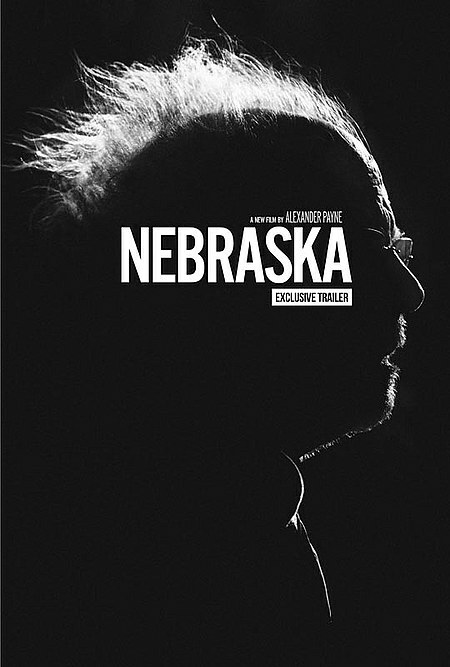 Nebraska may be a nice place to visit, but the movie isn’t.